Word Cross Journey provides the best word cross, word link, and word connects experiences. It takes you to a fascinating journey full of word puzzles, word anagrams, word searching, and crosswords! Stop hesitating, grab the chance of being a word master in this fresh and creative free word game! Hurry up! Wake up your brain, stretch your mind! Crush the mountains of crosswords in the game. Are you the word lover and fan who is not afraid of any word connect or word find challenges? Can you solve the crosswords, link and connect all the words hidden in the dispersed letters? Do you have enough stores in your vocabulary and word library? 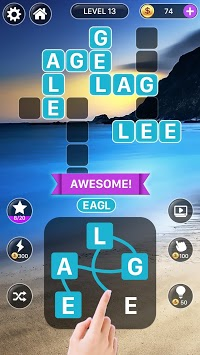 Is your spelling skill strong enough to challenge the word puzzles in this game? You don’t want to waste time! Download and Play Word Cross Journey now! Download and try, you will never put it down. 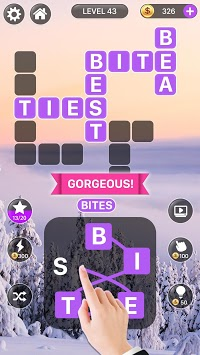 This is not only a simple word puzzle or crossword game. You can learn new word and expanding your vocabulary by word link and word connect. 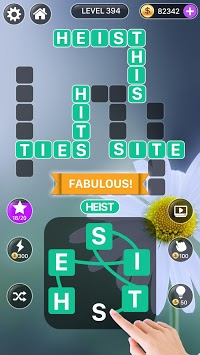 Huge fun is wait for you in this game, a really good and easy way to know more words just by playing game. Download the game and start the Word Cross Journey! Feel the super quality and experience by linking and connecting words! Smash the crosswords and puzzles! We are looking forward to hear your questions, suggestions and ideas!